Phoenix, AZ – December 5, 2017 – ABI Multifamily, the Western US's leading multifamily brokerage and advisory services firm, is pleased to announce the $3,300,000 / $71,739 Per Unit sale of the Stapley Place Apartments, a 46-unit apartment community located in Mesa, Arizona. Situated on Stapley Drive, Stapley Place is a two-story apartment community which rests on 2.26 acres and was built in 1985 of wood frame and stucco construction with pitched roofs. The property consists of 46 – 2 bedroom unit types with a weighted average size of 797 square feet. Each unit is individually metered for electricity and have individual HVACs. 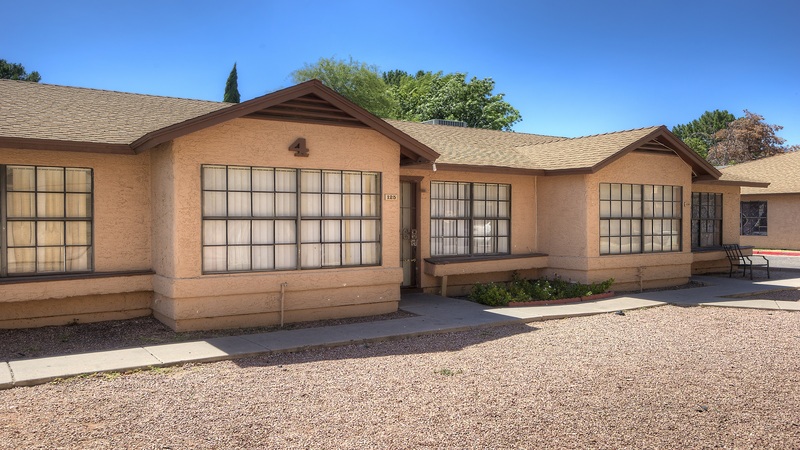 The property features a sparkling pool, laundry facilities, covered parking, and is within minutes of Mesa High School, elementary schools, and parks. "Stapley Place's close proximity to major employment epicenters, i.e. Mesa's Fiesta District and North Tempe, allows the new owner to capitalize on the renter displaced by all the expensive new construction occurring on the interior of Tempe, yet close enough to still benefit from the new job growth of those areas," states Ryan Smith, Vice President at ABI, who along with Eddie Chang, Partner, represented the Buyer in the transaction. The Buyer and Seller are both based in Arizona. The Phoenix based ABI Multifamily brokerage team of Eddie Chang, Ryan Smith, John Kobierowski, Alon Shnitzer, Rue Bax, and Doug Lazovick represented the Buyer in this transaction.